Following a call for proposals launched in 2013 on cooperation projects to support transnational tourism based on European cultural and industrial heritage, this project has been approved by the DG Enterprise program in April 2014. Initiated by the New Dutch Waterline, appointed as lead partner, “Linking the Lines” gathers five fortified lines and networks: the Vauban Network (France), the Marco Polo System geie (Italy), the Paola Local Council (Malta) and the Medway Council (United Kingdom). The approach chosen by the partners is based on knowledge exchanges and the development of a common transnational tourism product between these fortified lines of different periods, all inscribed on the World Heritage List or on the Tentative List. This joined initiative aims to strengthen the promotion and the collaboration between tourism professionals, to increase cultural offerings and to develop new partnerships. The main actions of "Linking the Lines"
The promotion of the defence lines as quality destinations for cultural tourism. The first actions will be implement from the beginning of 2015. The project will run until January 2016. The Vauban Network aims to co-ordinate actions in favour of conservation, management and enhancement of the Vauban fortifications inscribed on the World Heritage List. Boosted by this award it works to promote these major sites by a common promotion policy, the exchange of experiences, the organization of training sessions... With this project the Vauban Network wishes to strength the promotion of the 12 sites and to stimulate new partnerships with tourism professionals. This continuous water defence line which spread over 85 kilometres gathered 50 forts located in about 60 towns. Inscribed on World Heritage Tentative List it has close collaborations with entrepreneurs which manage many forts thanks to private-public partnerships. With this project the New Dutch Waterline aims to stimulate effective private-public partnerships between its tourism professionals. The forte Marghera is included in the “Venice and its lagoon” World Heritage site. It is gradually developing its promotion policy through Marco Polo System GEIE trying to involve local forces. With this project the forte Marghera wishes to diversify its cultural offerings and to strengthen its visibility to attract local and foreign users. The work of Marco Polo System GEIE capitalise several previous EU cooperation projects in the filed, as ASCEND, CULTEMA, AT FORT, ADRIFORT, TUDESLOVE, CAMAA, TECHTOUR, VEROTOUR. The Paola Local Council (Malta) aims to observe and manage the defence lines built by British Engineers between 1871 and 1872. 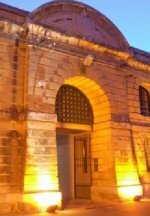 La Valetta is inscribed as World Heritage City since 1981 and the Harbour Fortifications ensemble (28 kilometres) is inscribed on the Tentative List. With this project The Paola Local Council wishes to develop cultural tourism and to strength the promotion on fortified heritage. The Medway Council (United Kingdom) supports the promotion and preservation of Chatham Dockyard and its Defences. Inscribed on the World Heritage Tentative List it has an active network of volunteers. Wishing to develop its cultural offerings Medway Council will develop a mobile phone application and is considering the creation of an annual cultural event dedicated to the Dockyard and its Defences.